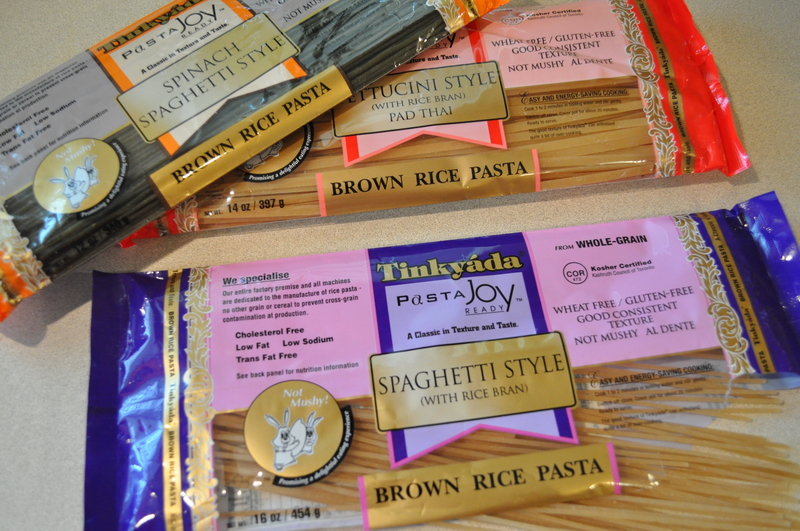 I’ve tried several different types of gluten free pasta and so far the Tinkyada brand is the best. The texture is wonderful, there’s no after taste and most of their pastas are simply made with brown rice, rice bran, and water. Good for you too. Their pasta comes in all different shapes and sizes to fit every one of your pasta needs…even lasagna noodles. I’ve used Tinkyada’s pastas for numerous different recipes and I find that if I follow the cooking directions on the package and use plenty of water, I get a perfect al dente pasta every single time.